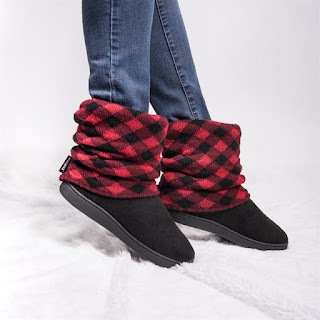 Head over to get a pair of these MUK LUKS® Raquel Slippers for ONLY $13.99 Shipped (Retail $40)! Lounge indoors and out wearing our MUK LUKS® Women's Raquel Slippers. This modern short boot has a relaxed fit that keeps your feet and lower leg in warm. Wipe with a damp cloth to clean, no bleach, lay flat to dry. Imported.